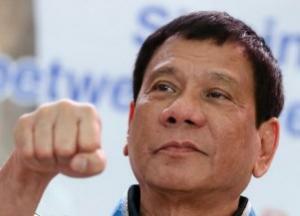 Undeterred by international criticism, Filipino President Rodrigo Duterte continued his murderous war on small-time drug users and sellers  throughout 2017, with Human Rights Watch estimating that some 12,000 people -- almost all poor -- have been killed since Duterte unleashed the killers in June 2016. Poor neighborhoods have also been subjected to warrantless searches and door-to-door drug testing, and thousands more people have been imprisoned in insalubrious conditions. Indonesian President Joko Widodo must have liked what he was seeing one archipelago over because in July, he started sounding like his Filipino counterpart. To fight the country's "narcotic emergency," he said, police should "gun down" foreigners suspected of drug trafficking  if they "resist arrest." At year's end, the National Narcotics agency proudly reported it had killed 79 people in drug raids during 2017 , and arrested more than half a million, of whom 1,523 were declared rehabilitated after drug treatment. In 2016, Widodo had ordered that a 100,000 people receive drug treatment, but there don't seem to be any resources for that. In December, the Norwegian parliament sent a strong signal that it wants to decriminalize drug use and possession . It voted to pursue such a path, directing the government to begin making changes in the laws to reflect that vote. Legislation that would actually enact the changes has yet to be drafted, but Norway is on the way. 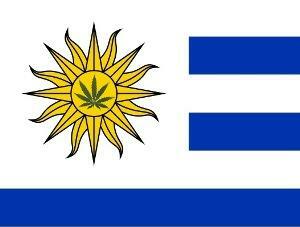 It took more than three years after the country legalized marijuana before it happened, but it happened this year: Pharmacies began selling marijuana direct to customers in July , making Uruguay the first country in the world to permit the legal production and sale of marijuana. Eleven years after then-President Felipe Calderon declared war on the drug cartels and sent in the military, things are worse than ever. According to government crime statistics, 2017 was the bloodiest year yet with more than 27,000 murders  as splintering drug trafficking organizations fight a multi-sided war among themselves and against the police and military (when the police and military aren't acting on behalf of cartel factions). The year brought other grim milestones as well: More than 200,000 dead, an estimated 30,000 missing, more than 850 clandestine graves uncovered. All to keep Americans well supplied with the drugs we love to hate -- or is it hate to love? The Islamic Republic has long been one of the world's leading executioners of drug offenders, but that could be about to change. In August, the Iranian parliament approved an amendment that significantly raises the bar for mandatory executions for certain drug offenses . The amendment dramatically increases the quantities of drugs needed to trigger a sentence of death or life in prison and should result in hundreds of people being spared execution each year. But it's not a done deal yet: It still must be approved by the Guardian Council, a body of 12 Islamic jurists, to ensure it complies with the Iranian constitution and their interpretation of sharia law. In August, President Trump authorized new rules of engagement for American forces in Afghanistan, allowing them to target the Taliban directly with air strikes. Previously, air strikes had been allowed only in support of Afghan troop operations or to protect US or NATO troops under attack. In November, US military commanders made the first use of that authority by bombing ten Taliban-controlled opium production facilities in Helmand province , leaving a toll of at least 44 dead. The aim is to disrupt Taliban funding, but it looks like there's plenty more work to do: The Pentagon says the Taliban have another 400 to 500 heroin labs. And with bumper opium crops in 2017, they have plenty of work to do, too. Colombia just came off a bumper year for coca and cocaine production, but that's largely an artifact of the peace settlement between the FARC and the government, which offered assistance to coca growers wishing to transition to other crops, thus encouraging farmers to grow coca so they could qualify for the program. But such nuances matter little to the Trump administration, which is pressuring the Colombian government to reinstate the aerial fumigation of coca crops  with potentially carcinogenic herbicides. The regime in Pyongyang has long been accused of resorting to drug trafficking to help finance its oft-sanctioned military activities, and it looks like it's up to it again. In August came reports that state-affiliated companies and universities were "ramping up" the production of methamphetamine  as a means of obtaining desperately needed foreign currency. 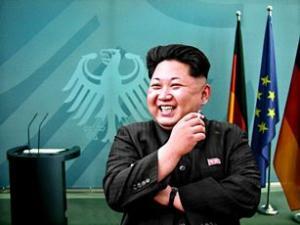 With more sanctions, expect more North Korean meth.